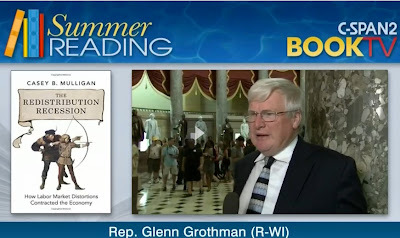 From Fond du Lac's fine Congressman. Fidel Castro took power in 1959 (“the Revolution”) and soon thereafter made the country Communist (i.e., most assets were owned by the government). Cuba allied with the USSR from which Cuba received large subsidies until the USSR collapsed (1989). Fidel’s brother, Raul, succeeded him in 2008, and since then a few more types of private ownership have been permitted. The POLITY IV international study of governments assigns Cuba the absolute lowest democracy score, going back to 1955. The U.S. government only permits its citizens to travel to Cuba for specific reasons, and tourism is not one of them. My family took a one-week trip (to Havana, suburbs, and Pinar del Rio) that fit into the “person-to-person” category. The trip was organized by a U.S. tour company, which chose from a list of activities presented to them by the Cuban government. We had free time during which we could, say, walk or take a taxi anywhere we wanted. Most of the people we encountered during the organized part of the tour were presumably screened by the Cuban government at the same time that they were competing to be chosen by the tour company. Lindbeck could have been describing the buildings – both housing and structures used for production – in Havana Cuba as they appear today. I saw buildings that were just piles of rubble. Others that were half standing, half rubble pile. 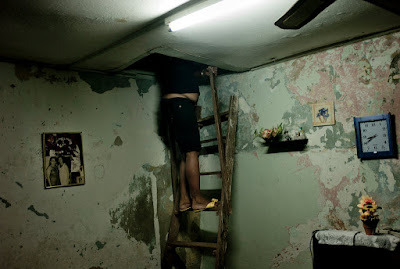 Many others had major holes in the roof (in multi-story units, which are the norm in Havana, a hole in one family’s ceiling is often a hole in an above-neighbor’s floor). Frequently there is no external paint (perhaps they were painted in the 1950s). A rainy afternoon means that electricity will be lost and more homes will collapse. Other buildings are newly renovated or in the process of renovation. The above description applies just as well to the waterfront structures (i.e., in the tourist area) as to inland ones. Many porches, balconies and windows have barred or wired covering. 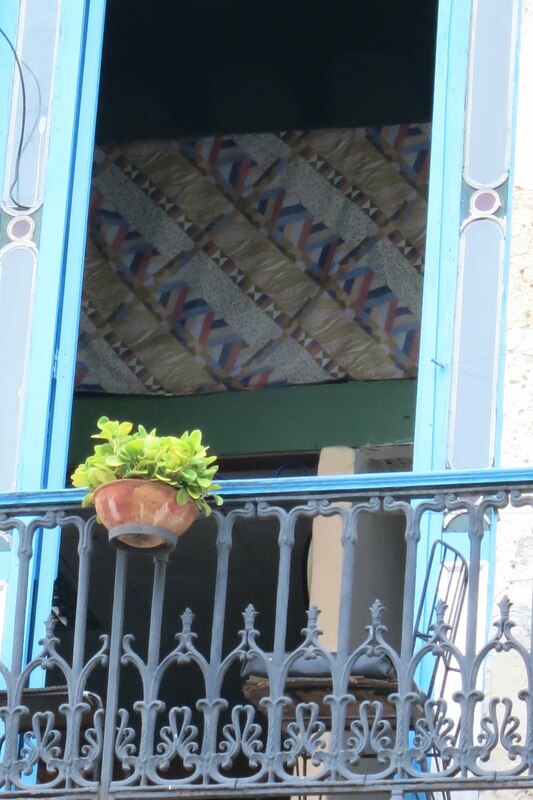 In America, such covering would be understood as an anti-trespassing device, and this was obviously the case for some of the Cuban windows. But in other cases I suspect that the covering is intended to prevent occupants and their possessions from falling out. Structures’ disrepair is less obvious in rural areas. Part of the reason is that even many rural American structures have obvious disrepairs. Another reason is a differential maintenance incentive in rural areas (discussed below). I saw hardly any advertisements for products, services, or activities. Essentially all advertisements are propaganda from the government, such as “Socialismo o muerte” (socialism or death) written in four-foot letters on a wall along the road, or “Orgullossos de nuestra revolucion” (proud of our revolution) and “Dos grandes titanes de nuestro hemisferio” (two great titans of our hemisphere, describing pictures of Che Guevara and Antonio Maceo) on 3-by-8 foot signs, or “Hasta la victoria siempre” (keep fighting until victory, a quote from Che Guevara) written on the side of a building and on large signs. Automobiles have license plates that distinguish private from government owners. Private-owned cars appear to be a large minority of all cars. Essentially all private-owned cars predate the revolution (i.e., 1959) and do not have seatbelts. A number of those are painted beautifully and used to entertain tourists. Those used by locals are typically missing much of their paint. The government-owned cars, which include all of the official taxis, are typically circa 1980 and of socialist origin (e.g., USSR or Poland). I saw a few 21st century cars that appeared to be owned by diplomats. The overall number of cars appears to be low in comparison with the number of people. The automobiles share the road with buses (almost always full with people), motorcycles and other small-scale motor vehicles, and horse-drawn vehicles. There are not many bicycles. Outside the city, the ratio of horse-drawn vehicles to automobiles is greater. Lots of people are not in a vehicle, but appear to be waiting for one. Many people have smartphones that capture their attention (not with live internet – more on this below), but hardly anyone uses them as a listening device while they are waiting. The dress of the people is not remarkable, especially considering that the weather is often hot, although a number of people appear to be off-duty military personnel with sharp but uncomfortable-appearing uniforms. Whether at home or in transit, people make an effort to stay out of the sun. The nontourists – ie, people standing outside of homes or driving in the private cars – all appear to be of Cuban origin. A number of women are overweight. It is less common for men to be overweight. I did not see people who appeared underfed, but most livestock appear that way. Until recently, Cubans could own their home but could only sell a home to the government. In other words, it was more like living as a tenant for zero rent and being paid something for vacating. Now Cubans tell me that they have a right to buy and sell homes (since 2011; even now Cubans cannot own more than two homes), and that Cubans typically live in a home owned by a family member. They do not pay property taxes and often do not have mortgages, but they do pay for metered electricity and gas. For multi-unit buildings, it has never been clear who has the property rights (does the roof of an apartment building belong only to those who live on the top floor?). The urban residences are densely populated. They were originally constructed in the 1920s or 1950s with tall ceilings and room sizes that would be familiar to Americans. But since the Revolution the rooms and hallways have been subdivided many times, including vertical subdivisions known as barbeques. Not much lighting is used. One of the images below shows a picture of a barbeque from the inside (and underneath). The other is an image taken from outside the building through the window. The disrepair and proliferation of subdivisions are to be expected when quality housing is prohibited from commanding a price or rent premium in the marketplace and when property rights are lacking, as during the half-century before 2011. The government says that a large majority of residences are owner occupied. I don’t know how this statistic counts the barbeques and other subdivisions. A number of automobiles are privately owned. Those used by tourists are sometimes owned by a group of people (i.e., a business). Because the old cars had to be owned by someone during all of the years of the revolution, it would not surprise me to learn that private automobile ownership is not at all new. The official taxis are government owned. Drivers pay for fuel and pay a daily rental to the government and keep the residual. Taxi driving is one of the high-paying jobs: doctors are known to drive taxis in their spare time (known as “left-hand jobs”). The lack of Asian- or Western-European-made automobiles, even for government ownership, suggests that the U.S. embargo (which the Cubans call a blockade) may be working at preventing the important of even non-American products. Government permission is needed to have a boat. The fishermen’s boats are smaller than a normal rowboat and therefore too small to take far from shore (e.g., to another country). Most seafood has to be imported. This is a clear case where the regime has sacrificed productivity in order to exercise control over its people. Cows are still government owned. They cannot be killed for beef; all beef is imported. It is also illegal to sell beef in some situations. I believe that Cubans can own chickens and other birds. Urban dwellers may even be encouraged to own chickens. I do not know who owns the horses. Rural families can own up to 10 hectares (i.e., 25 acres) of land or so. The land has sometimes been owned by a family for generations – predating the revolution – but the Revolution subdivided large plots and left their original owners with just one of those. The government does not acknowledge businesses per se, but there are small-scale private employers who are officially referred to as the “self-employed.” For example, restaurant owners (including partnerships) may hire waiters. Automobile owners/partnerships also hire drivers, although perhaps this is not legal because the official taxis are government owned. There are families who are permitted to rent out space in their homes to tourists. A blue emblem marks such homes. These homes are nicely maintained. A private person or business cannot own a hotel. Hotels are owned by the military, and some of them are managed by international hotel companies. Professionals, such as doctors, architects, or teachers, have to do that work as government employees. In other words, there are no private-sector professional-service businesses. 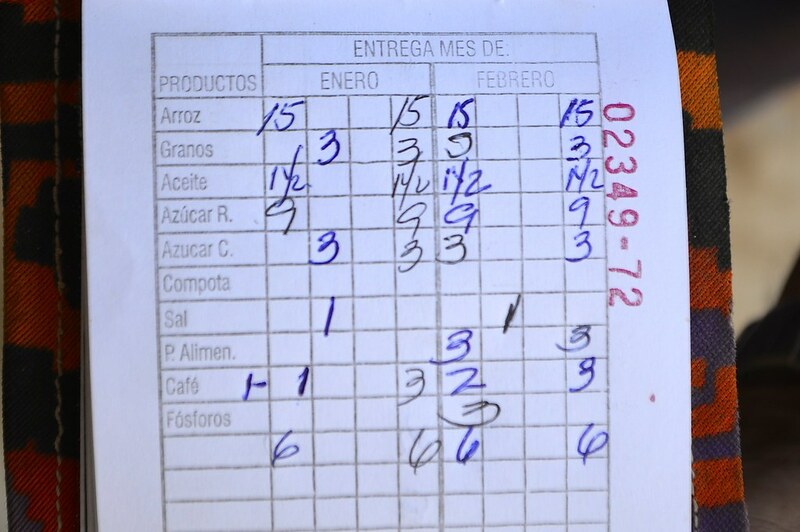 Cubans own their labor in the sense that they get wages for most of their work. However, their employer is typically the government and those wages are far below their productivity (which is itself low). Government employees were paid about $20 per month in 2014, whereas monthly national income per worker was $839, which suggests that government employees keep about five percent of the value of what they produce. Although some Cuban athletes have defected to the United States (see below), some of them were legally employed by (non-US) international teams as Cuban citizens, in which case their entire salary belonged to the Cuban government. That policy was changed recently, and now the internationally-employed Cuban athletes keep 80 percent of what they earn. A number of physicians have been internationally employed and their salaries also belonged 100 percent to the Cuban government. I don’t know whether physicians currently enjoy the 80-percent rule that applies to internationally-employed athletes. Cuba has a military draft, applicable to both men and women, and the draftees must serve two years. People may own a computer and have it in their home. But, with the exception of doctors and some others, they cannot have internet access at home. There are now public wifi hotspots, which the people commonly use with their smartphone. E.g., it is common to see families in a public wifi park using Skype to show themselves to a friend or family member elsewhere. I did not see anyone in those parks with a laptop computer. The internet at my hotel was heavily password protected, but once online appeared to be unrestricted. I could not reach a few sites, but likely because of the (poor) quality of the connection and not overt censorship (to be experienced by international visitors). Smart phone ownership is common. People keep pictures on them, and also use them to view material that they downloaded at their previous hotspot visit. It is hot in Cuba, but I don’t think that workplaces typically have air conditioning. We visited a tobacco-leaf factory. The only decoration on the walls was (plenty of) propaganda, as in the images below. The government pay scale does not vary by region. I am not sure what is the incentive to live in dense urban areas, except perhaps the lack of transportation or access to tourists. 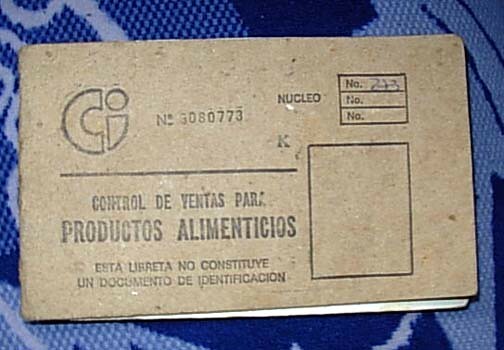 Cuban families receive a ration book that allows them to obtain food (for ten days a month?) at regulated prices in quantities according to the size and composition of their family. We were told not to take pictures in the food stores. I visited one of them and was encouraged to leave because “it was not for tourists.” I sat outside another as customers came and went. The stores sell less than two dozen distinct items in large quantities. E.g., large containers of canned mangos, three-liter bottles of soda, three-liter bottles of water, eggs in trays of 30. There was no refrigeration, even though it was hot. There are plenty of flies and stockouts. The image below was taken from the street through the store window. Large containers are probably not what people would pay for in a market setting, given that so few of them have cars (although I saw a couple of customers pull up in horse-drawn carts) and the small size of their living places. But packaging, availability, variety, and refrigeration are all good examples of non-price product attributes that can be expected to disappear when prices are regulated (Mulligan and Tsui 2016). Clothing and electronics are, and market exchange rates, cheaper in the U.S. than in Cuba. Many of these items are obtained when Cuban-American family members visit. I don’t know if or how they were obtained prior to 2009, when the family visits began to be permitted. The usual calculations of average life expectancy put Cuba next to the United States (and Puerto Rico). This is touted – by the UN, the World Bank, the Kaiser Foundation, and others – as an example of how a socialist system can even make a poor country one of the healthiest in the world. Based on what I saw, I am dubious that Cuban health is anywhere near what it is in developed countries. The people are short. I guessed that diabetes was high, and upon return home learned from the International Diabetes Federation web site that the prevalence of diabetes is high by worldwide standards. Cubans commonly practiced almost every unhealthy habit. They ride motorcycles, they don’t wear seatbelts, and they walk in traffic. I saw a motorcyclist drinking a beer and driving by a policewoman, with no consequence. They eat lots of eggs. Cigarettes are cheap and people smoke. I doubt any of the vehicles would pass EPA emission standards. An oil refinery operates in Havana and spews out far more smoke than a stack in, say, Joliet IL. Nutrition was poor in the 1990s, when starvation was a real concern. Healthcare, including plastic surgery and abortion, is free. However, the hospitals are severely lacking equipment and patients rely on family for food, pillows, aspirin, etc. Under the theory that health is a lifelong accumulation of experiences and investment – including experiences in the mother’s womb, at birth, and early childhood – the official life expectancy statistics are dubious. World Bank data, sourced from individual-country governments on the basis of age-mortality profiles at the time of reporting, show Cuba’s life expectancy catching up to the United States already by 1973. How could the post-Revolution Cuban system have that effect, when in 1973 the large majority of Cubans had lived the large majority of their lifetimes under pre-Revolution conditions? 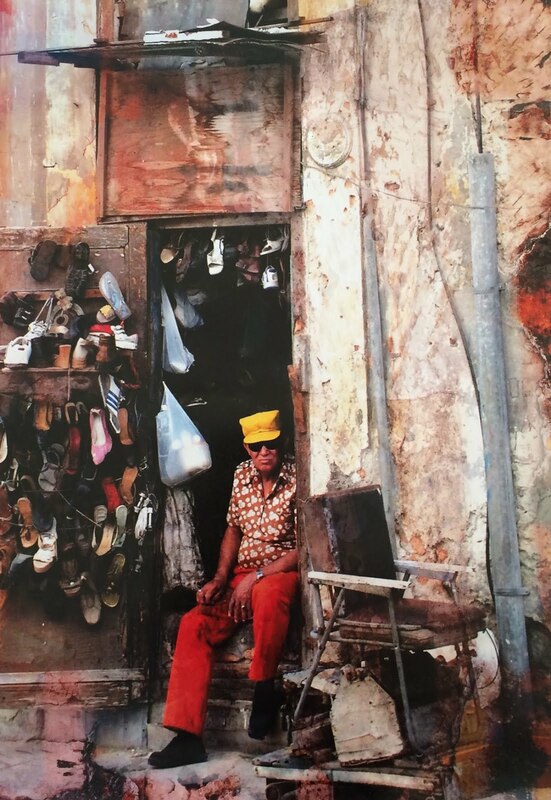 Why hasn’t Cuban life expectancy far surpassed American, now that, in contrast to 1973, most Cubans have lived most of their lives post-Revolution? Perhaps the main effect of the Revolution was to change the way that Cuba reported life expectancy to international organizations. To be blunt, my overall impression is that Fidel Castro is like an abusive father with several million “children” that he abused. Many of them ran away from home and still hate him many decades later (you can meet them here in America). Others stayed, continue to take the abuse, and focus on a few apparently good things that he does/did. 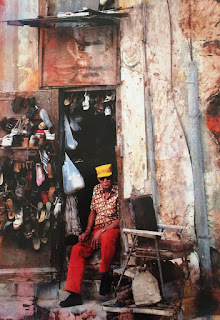 To put it another way, the Cubans still in Cuba obtain a significant amount of some kind of psychic value from Castro and the Revolution that partly offsets the large tax they implicitly pay in terms of foregone freedom and material goods and services. Cuba had a literacy campaign in 1961 in which the government sent (drafted?) primarily urban (schooled) teenagers into the country to help farmers with the farm work during the day and teach farmers to read in the evening. The final project for the newly literate citizens was to write a letter to Fidel. It had a real impact on literacy. The persons involved now fondly remember their experience. They give Fidel (and Che Guevara) credit for this. Crime, including “victimless” crimes such as narcotics and prostitution, appears to be low (but there is bicycle theft; see also above regarding bars on windows). Guns are permitted at isolated hunting clubs. Until recently, Cubans were not even allowed in hotel rooms. The Cuban people also see some (supposed) wisdom in “agricultural diversification” policies (i.e., trying to substitute non-sugar agricultural production for the production of sugar) of early in the Revolution. 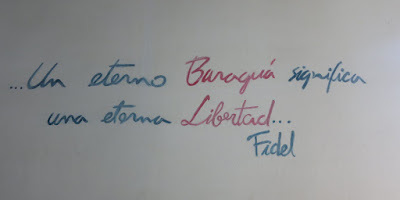 They also appreciate Fidel’s modesty (e.g., little of the propaganda refers to Fidel directly). The Cubans seem to appreciate Che Guevara, which I find ironic because Che is the member of the Revolution who thought that he would help the poor with Communism when in fact he harmed them. I would ask “¿te gusta Che?” and they would reply affirmatively. I saw memorials to him in the neighborhoods, away from tourist areas, made by the residents. 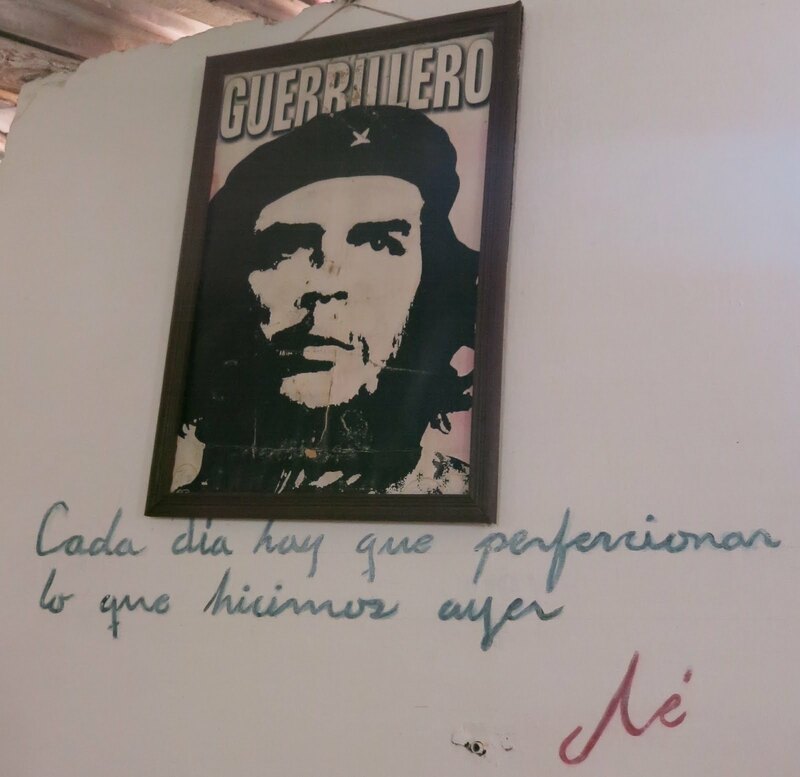 A couple of people (probably not screened by the government) mentioned that Che set a good example by living an austere life and participating in the forced “volunteer work.” Nevertheless, judging from the souvenir shops, Che is more popular among tourists than among the locals. Of course, Castro initially said that he was not a Communist and would not take people’s property. But, they say, the world was being divided between the USSR and the USA, and the USA’s policies left Cuba no choice but to choose USSR and Communism. When Fidel was the official head of government, he would give eight-hour speeches. People would be quizzed by party officials on the contents of those speeches! We heard from a university professor who had worked in Cuba’s State Department. She made a big deal that Cuba participates in various international conferences (as if that makes any difference to a regular citizen). She also blamed Spanish imperialism for Cuba’s troubles. I asked her how then to explain Puerto Rico’s trajectory. She thought that the Philippines were a better benchmark. But she also said that one of her students wrote a paper arguing that Cuba would have been better off to have become a U.S. territory, and that she awarded the student an A on the paper. I think that was a delicate way of agreeing that Cuba should have been able to do as well as Puerto Rico. All media belongs to the government. My favorite article in the official newspaper Granma is one about how Cuban athletes excel in international rowing competitions! In order to make opposition more difficult, paper is scarce throughout the country. This is another clear case where the regime has sacrificed productivity in order to exercise control over its people. Dissidents distribute their writings by typing offline, connecting to a hotel’s wifi (intended for international visitors), and uploading content to a server outside of the reach of the government. I asked about one of the more famous of these bloggers, Yoani Sanchez. People did not express specific disagreements with her, but emphasized that she was tainted by funders outside of Cuba. Defection from Cuba is a vivid example of the social multiplier. We met Cuban national pitching legend Rolando Macias. Circa 1970 he was asked to sign with the Brooklyn Dodgers, the Cincinnati Reds, and the New York Giants. At that time, no athlete had yet defected. Macias said no to all three teams, and played his career in Cuba. If he had defected, perhaps the government would have caused trouble for his family? Today he clearly enjoys being a famous person in Cuba, and says that the government treats him (and players like him) well. Now defection among athletes is more common and accepted by those in Cuba as a “economic decision.” Now there are also large Cuban-American communities that can be joined by a defector. Another way of limiting defection is to provide education locally, so that it is less desirable for students to seek training abroad, and then never return. Moreover, the government has no control over the content of internationally-located programs. Some readers might think that the conditions described above are not a particular consequence of Communism, because much of the third-world has these conditions without being Communist. I disagree. There are at least four things that make Cuba different from noncommunist third-world countries. First, most Cubans can do better outside their country, and they know it. This is why so many of them try to escape, and the government does so much to stop them. Some of them even escape to other third-world countries. Second, Puerto Rico far outpaced Cuba while the latter was practicing Communism. In 1950, both were former Spanish colonies and had annual GDP per capita of about $350. In 2014, Puerto Rican GDP per capita was more than quadruple Cuba’s. Havana is now far more densely populated than San Juan is. And a number of people escaped Cuba to begin a new life in Puerto Rico, with hardly anyone doing the reverse. Third, even if we ignore the gains enjoyed by people who manage to leave Cuba, indicators of Cuban human capital suggest that they would be surpassing third-world status if it were not for Communism. Literacy and school attendance appears to be high. The official statistics say that Cubans are more literate and have spent more time in school than Argentinians, yet the Argentinians are twice as rich. Fourth, Cubans once had nice things (by international standards), such as new cars and apartments newly built without barbeques. Cuba circa 1950 ranked among Western European countries in terms of per capita calorie consumption and automobile ownership. Cuba fell into the ranks of the third world, as opposed to failing to ever rise out of them. The U.S. embargo appears to have harmed the Cuban people. It has also allowed the Cuban government to blame the situation on something other than Communism. Perhaps it even increases the harm done by Communism, because property rights would be especially valuable for an economy that is prevented from specializing in a few tasks/products. I doubt that eliminating the embargo would be more helpful than eliminating Communism, because the later not only restricts international trade, but also intranational trade. Moreover, the embargo does not stop Cuba from all international trade: "just" direct trade with any business that also has enough of a U.S. presence that it can expect its U.S> operations to be punished (indirect trade is possible, but more costly). But I don’t have a good way to estimate the separate impacts of Communism and the embargo on Cuba. For what it is worth, the Cuban government and the Cuban people I met now believe that Cuba can blame only part of its situation on the U.S. embargo. 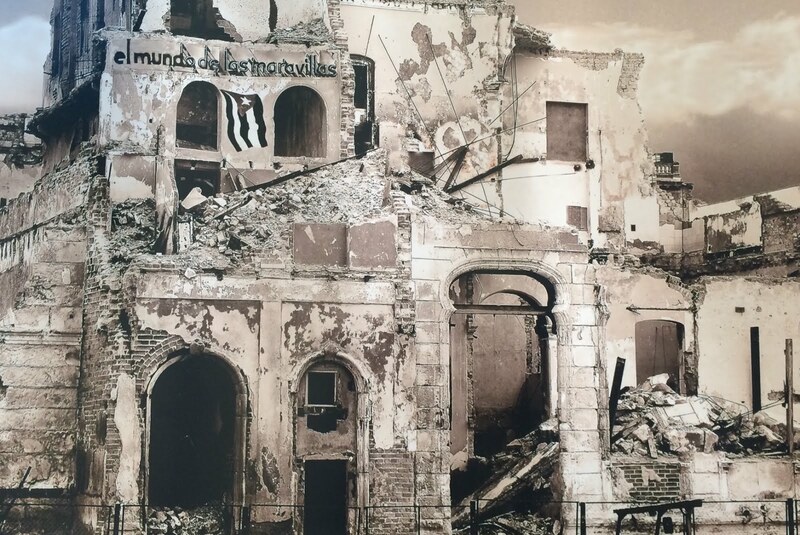 Block and Olsen (1981) present a sequence of photographs that alternately show buildings that experienced rent control and buildings that experienced bombing, and ask their readers to guess which is which. I had thought that they were exaggerating, but after visiting Cuba I see their point. Urban residences are essentially all multi-unit. Residences outside of the city are commonly, but not exclusively, multi-unit. A government architect who is part of the department of renovation told me that Old Havana is about 23,000 square meters of land (including non-residential parcels, which are about 1/3 of all buildings in the area) and houses 70,000 people. But note that the 23,000 estimate seems orders of magnitude too small. A government architect who is part of the department of renovation told me that 80 percent of residences in Old Havana were originally constructed in the 1920s or 1950s; only 8 percent were originally constructed after the revolution. Although businessinsider.com reported that person-to-person automobile sales were prohibited prior to 2011. New York Daily News reported that Cubans were prohibited from buying automobiles from the state prior to 2014. But a number of Cuban families may have retained the cars that they owned prior to the Revolution. Fuel is cheaper in the U.S., and more expensive in Europe, by comparison to Cuba. At prevailing exchange rates, a taxi fare in Havana is pretty similar to an UberX fare in Miami. It is sometimes said that cow murder is punished more severely than human murder. The military ownership is not visible to tourists. There are instances of “volunteer work” that citizens must perform on weekends. http://latino.foxnews.com/latino/news/2014/06/17/average-salary-in-cuba-rose-1-pct-last-year-to-20-month/. National income per person was $462 (http://www.brookings.edu/blogs/brookings-now/posts/2015/07/ten-economic-facts-about-cuba ) and employees per person were about 0.55 (http://data.worldbank.org/indicator/SL.EMP.TOTL.SP.ZS). Assuming a ratio of average productivity to marginal productivity of 2, that makes labor’s marginal product $420 per month. The Cuban hospital is another good example of the dearth of non-price product attributes when prices are regulated (at zero in this case). There was no tourism prior to 1989. The policies may have been wise from the point of view of the government survival: the world price of sugar affects the opportunity cost of members of the Cuban opposition (Mulligan and Tsui 2015). GDP per capita grew at about the same rate in the two countries. However, total GDP grew far more (i.e., population grew far more) in the Philippines. Cuba has a one party system, so the voting is of little consequence (hence minimum democracy score from POLITY IV). The Cuban government emphasizes this point, too. Later we accidentally crossed paths with Macias. He was eating (on Father’s Day) with his family at a fancy restaurant, where the meal would cost the equivalent of a couple of month’s salary for an average Cuban (by that metric, something like a $10,000 restaurant bill in the United States!). They are more literate than Puerto Ricans and Taiwanese (I did not find years of schooling for these two comparator regions). Of course, the Cuban government may be exaggerating the amount of education of its people more than other governments do.